The HR team at AXA Insurance gathered at Drayton Manor to participate in a revolutionary interactive event, designed to display the outline for the department’s future. Throughout the day, members of HR used relevant hashtags to offer their own perspective and ask pertinent questions to the three key speakers. During the speeches made by the speakers at the event, there were a number of questions presented on screen that allowed the audience to use allocated tablets, or their own devices, to provide their own answers. The answers were then collated and displayed on the EventBeat screens in a graph. Live results helped to assist the speaker come to a swift conclusion, with relation to the individual question, whilst also allowing them to discuss the range of answers on display. Attendee, and AXA HR team member, Jed Hardy, said, “The live polling was fantastic. “The first round of questions had all the attendants impressed and we even got a lot of content through from people asking for it to be rolled out for training sessions! “(It) was a fantastic addition to the event and a feature that was a standout success of the day” he also added. 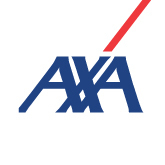 The attending AXA members were able to join in and fully immerse themselves in the social experience. Long commutes to the event didn’t stop the HR teams from tweeting images and comments of their journey, which kept the earlybirds amused whilst they waited for their colleagues. As well as humouring each other, the twitter walls were a great forum for discussion, especially during the key speeches and the future ‘Amber’ video. EventBeat created a unique Twitter account for attending staff who did not have access to any forms of social media, which meant that everyone could voice their opinion if they so wished. Alternatively, the generic ‘Onehr2014’ account was also used by those who had an idea relating to a relevant point, but preferred to remain anonymous. Through social signage EventBeat were able to interact and comment on some of the different tweets, which was successful in creating a conversation.